For all England Squash purposes, your DBS check is valid for three years. The DBS certificate presented to us must be dated within the last three years. Please note that England Squash do not keep records of your DBS certificate. It is the individual’s responsibility to renew and ensure their DBS remains up to date. If you are registered with the DBS Update Service you will be able to use your ‘online certificate’. You will need to provide us with your DBS number, name and date of birth. However, if you are not registered, you will be required to have an England Squash DBS check and this includes teachers, forces and emergency services personnel. This service lets applicants keep their DBS certificates up-to-date online. It will enable individuals to take their certificates from one job or role to the next as employers can check your certificate online. This can be particularly useful for coaches who will be required to complete a new DBS check for each job they do. Registration lasts for one year and costs £13 per year. There’s no charge if you’re a volunteer. For further information, please visit https://www.gov.uk/dbs-update-service. The cost can vary depending on the options you chose during the application process. The cost of a DBS for a volunteer is £15.60 + VAT. The cost of a DBS for a paid position is £44 (includes VAT). DBS cannot provide replacements for lost or destroyed certificates. If England Squash have not seen your DBS certificate, you will need to complete the process again. If an individual has a previous conviction, England Squash will request to see the original DBS certificate. The DBS certificate will be reviewed by our safeguarding body who will make a decision on whether we can certify the individual as a coach. They would be informed of the decision as soon as possible. Once GB Group have received your documents and payment has been made, the DBS search will begin. This can take up to 60 days but in the majority of cases will take less. If you would like to track your DBS check progress please click here. You can appeal if you believe there’s been a mistake in the records provided, such as wrong or irrelevant information on convictions. Please call DBS directly on 0870 90 90 778. Please note that appeals must be made within three months of the date of the disclosure. In the event that any relevant pre-employment checks come back with any information on previous offences/convictions or areas of concern, England Squash will need to review the information in order to determine the correct course of action. Find out more here. 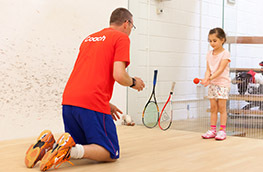 Please get in touch with our coaching team: coaching@englandsquash.com.